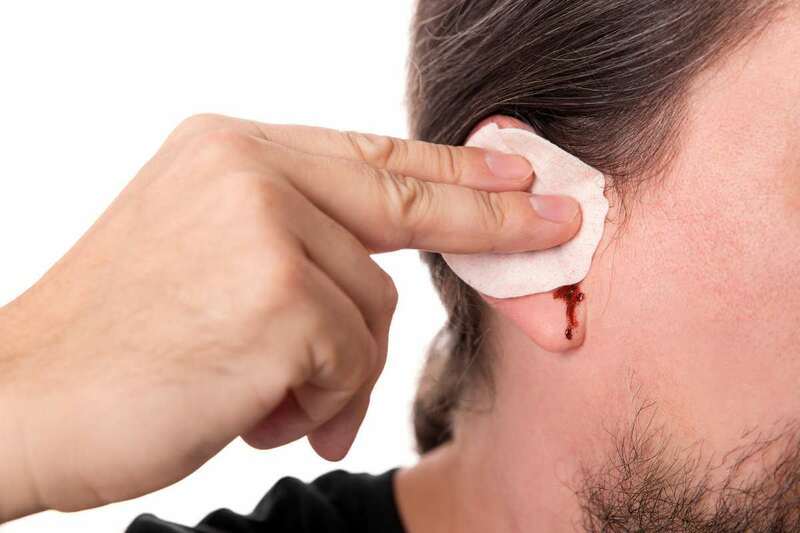 Why is your ear bleeding? There are a few possible reasons why this could happen and it is best to consult your doctor to find out the root cause and take treatment accordingly. Ruptured eardrum: A tear or puncture in the eardrum can cause pain, discomfort, loss of hearing, vertigo and bleeding. Ear infections: An infected middle ear puts a lot of pressure and pain which causes bleeding. Barotrauma: This is a result of abrupt changes in altitude which causes dizziness, pain and bleeding. It could be a result of head injury, ear canal cancer or could be caused by a foreign object. A thorough physical examination of your ears, nose and throat combined with your detailed medical history is first collected. If necessary further tests are done to determine the cause. The treatment provided is based on the underlying cause and once the cause is attended to, the bleeding stops. Antibiotics are prescribed to clear up infections and pain killers are administered to help you deal with the pain and irritation. Use ear plugs and protect your ears from water and other particles. A warm compress using a towel dipped in hot water can be helpful in easing the pain and discomfort. Protect your ears especially in case of harsh climates and avoid forcefully getting rid of ear wax from deep inside as it can cause a lot of pain and even damage. The wax actually protects your ear and prevents dust and other particles from entering the ear canal.